Home / Columns / Bob Magee / Did John Cena “Tie” Ric Flair? Did John Cena “Tie” Ric Flair? AS I SEE IT – Did John Cena “Tie” Ric Flair? So the road to Wrestlemania begins. This week’s Royal Rumble began the official Road to Wrestlemania. RAW advanced storylines and potential quite a bit as well. The PPV was highlighted by John Cena winning a 16th WWE title, defeating AJ Styles in a classic match, finishing with an incredible spot, requiring freakish strength and agility to pull off with an AA, held and physically rolled into another AA. On social media, the predictable reaction of the He Man John Cena Haters Club went into overdrive, and whined about Cena getting the belt. For anyone calling me just a Cena mark, I’ve watched AJ Styles since he worked NWA Wildside 17 years ago. I will admit marking for STYLES at the drop of a hat. I watched TNA largely because he worked there. I’ve watched him in New Japan. I’ve been pleasantly surprised by the fact that WWE actually gave him a run with the WWE Title. However, anyone being the least bit fair sees John Cena’s mainstream success. They know all about his work for Make A Wish (which continued last night after he got the belt, as he went into the stands and shared the win with another Make A Wish child). He did this long before any official total of wishes granted was ever started. He had to be convinced by Make a Wish and WWE that making the wishes granted public would help Make A Wish’s fundraising efforts. He said before that granting wishes were simply something he should be doing. But…. I refuse to even acknowledge WWE’s claim of Cena “tying Ric Flair’s 16 world titles”. Cena had another “big match” incredible match. It’s proof he can do a lot more than the “five moves of doom”. But he didn’t tie anything of Ric Flair’s. Yes, I know Flair will play along on WWE media and “congratulate him” because his daughter works there, as does he on occasion. The fact is that Ric Flair has 19 world championship reigns that were recognized by WCW, NWA, and WWE at one point in time. 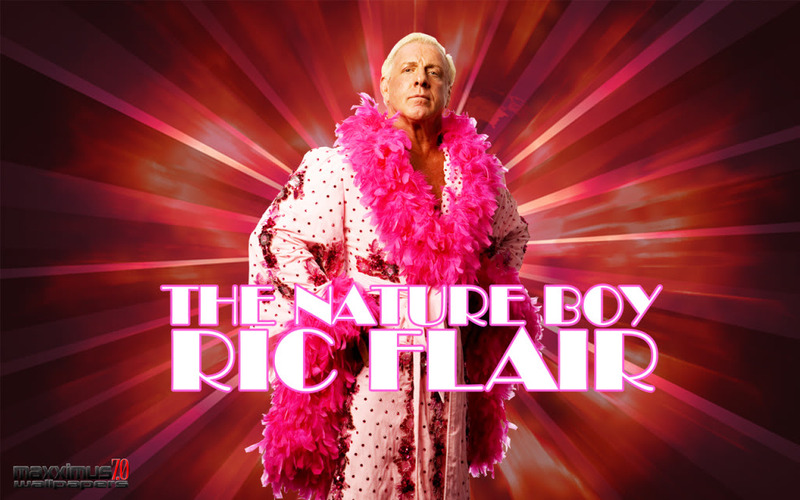 WWE, WCW, and TNA “officially recognize” Flair as a 16-time world heavyweight champion (eight-time NWA, six-time WCW, and two-time WWF/E). Most records not sourced by/using WWE’s list, count the number as high as 22 or even higher, depending on which local title changes and switchbacks (e.g. Puerto Rico, Japan, Dominican Republic) you care to recognize. WWE knows better, and should realize fans know better as well. It draws unnecessary heat onto Cena for “tying Flair’s record”. Flair and any other wrestling fan ought to congratulate Cena and Styles on pulling off a match that was so great that the San Antonio crowd was perfectly prepared to crap all over a title chance…and won them over bigtime. If you believe the stories floating around, Cena will only hold onto the belt for 2 weeks anyhow, as it’s thought that Bray Wyatt will win at Elimination Chamber, and then challenge/be challenged by Randy Orton at Wrestlemania.